In order to set new message notifications, tap on the Spike logo and your Spike main menu with your accounts will appear. Tap the gear icon on the top right, and select the desired account. 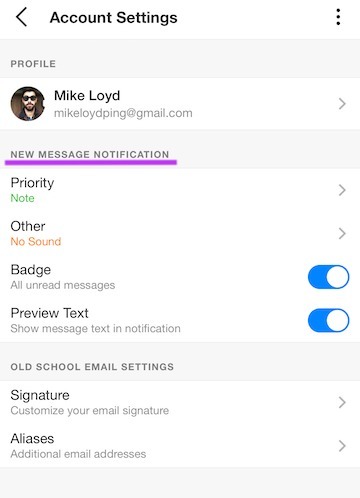 Here you can personalize your new message notification and have the option to mute notifications. Click the gear icon on the top right, and select the desired account. Here you can personalize your new message notification.